Unlimited spellpower is yours to command! Deep Magic is here at last — a 376-page, full-color tome bound in the hide of an unknown planar being who materialized at Kobold World Headquarters, gave a piteous squawk, and died on the carpet. It contains some of the strangest, most wondrous, and most powerful arcane and divine magic ever devised, ready for use in any Pathfinder Roleplaying Game campaign. 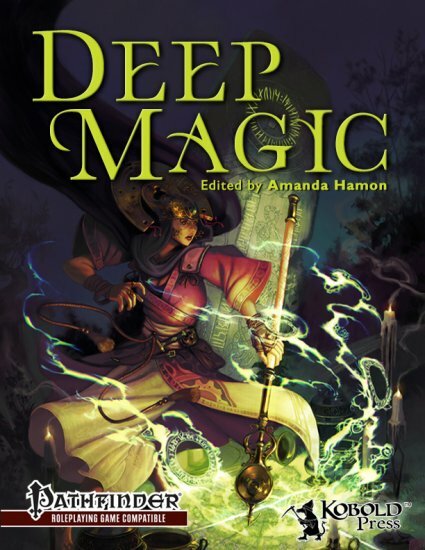 Deep Magic is an essential volume for any spellcaster’s library, available at the Kobold Store, Paizo and DriveThruRPG. 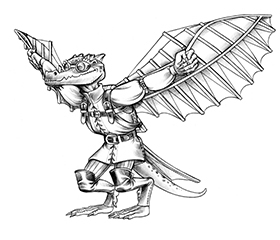 Kobold-in-Chief Wolfgang Baur is so excited that in celebration, he’s unleashed the elemental power of FIRE! Still need convincing? Check out these reviews from our Kickstarter backers. 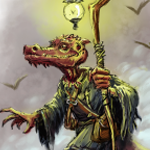 Get Deep Magic now at the Kobold Store, Paizo and DriveThruRPG. Use it wisely and well! This is a truly wondrous tome. I highly recommend it! That vid really delighted my 7 year old. Fire you must have! Hands down, the absolutely best third party pathfinder product ever created. Great jobs folks …. best Kickstarter I ever chose to support. Are there plans to add this to d20pfsrd.com? And while I’m asking, what about the new classes like the theurge? As far as d20pfsrd.com goes, you’d have to ask them if they’re going to add it. Our plan is to release the new material as Hero Lab files, and as a smartphone app/digital referene for game time, timing to be announced. Other people are, of course, completely welcome to use the Open content of the book (about 2/3 of the whole) in their own products and web sites. Wondershare Demo – Creator is easy to use, powerful and affordable for solving these kind of problems. Here is a collection of usages for different formats of video files. Now after several owners and years of it being allowed to deterate, the mansion has been restored. Boris Graffiti, included in the Ultimate version of VSP X5, still suffers from slow rendering on many systems. it into a tape recorder and then have it transcribed. software presents several new features and enhanced capabilities. You can go for best quality ones if you burn them on Cds. video from digital media. Nokia 2760The Nokia 2760 is one of many Nokia flip phone models. He purchased this land known as Blue Halk Peak from his Indian friend names Blue Halk. load. Using the free functions try to make a disc image file and burn to another DVD. break and positioned the edit marker to split the video at that point. the WMFE I was able to find a one click command that solved the problem. I wanted to create someone you understood, but need not like. key issue in mobile, which is Fragmentation. They believe that Bayless and other of his family members are still around. and stored in a video format that you can edit for further customization.